HEERENVEEN, Netherlands (BRAIN)–Accell Group is buying Ghost Mountainbikes, a high-end German bicycle brand, adding yet another premium bike company to its ever-growing corporate portfolio. CHATSWORTH, CA (BRAIN)—Currie Technologies has been acquired by Risk equity Partners, a California-based investment group. IRVINE, CA (BRAIN)—Shimano has purchased Dash America, Pearl Izumi’s parent company, from Nautilus. Pearl Izumi becomes a wholly owned subsidiary of Shimano’s U.S. operations, and will continue to operate from its facilities in Broomfield, Colorado and Kirchzarten, Germany. 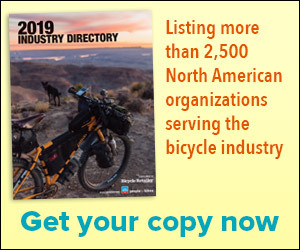 MONTREAL, Quebec (BRAIN)—Dorel Industries’ purchase of Cannondale now positions the Canadian consumer goods company right behind Trek and Specialized within the independent bicycle dealer (IBD) channel, according to Dorel president and chief executive officer Martin Schwartz. MONTREAL, Quebec (BRAIN)—Dorel Industries has just announced the acquisition of the Cannondale Bicycle Corporation. The total value of the all-cash transaction will be $190 (U.S) to $200 (U.S) million, subject to Cannondale's earnings results for the year ending June 30, 2008. LAGUNA BEACH, CA (BRAIN)—Selle Royal and Crankbrothers have completed the merger of Crankbrothers into Selle Royal. This agreement adds Crankbrothers to Selle Royal’s group of cycling companies which include fi’zi:k, Brooks, and Selle Royal. PORTLAND, ORE (BRAIN)—Two leading companies in the design and manufacture of accessories for recumbent bicycles are teaming up. TerraCycle, of Portland, Ore. is acquiring Fort Collins, Colo.–based FastBack Designs and plans to expand its successful line of hydration packs and frame bags. MINNEAPOLIS, MN (BRAIN)—Carmichael Lynch Spong has purchased Stanwood & Partners, a Wyoming-based public relations firm and a fellow go-to expert in the outdoor enthusiast arena. VALENCIA, CA (BRAIN)—Valencia Sport Group, parent company of SixSixOne, Sunline and Royal brands has restructured and recapitalized, partnering with L.A. based equity firm Triple 7 Group. RYE, NY (BRAIN)--Jarden Corporation has signed a merger agreement under which Jarden will acquire K2 for $1.2 billion in a stock and cash deal. MILAN, Italy--Oakley, the Southern California eyewear maker that American pro cyclists Greg LeMond and Andy Hampsten helped popularize during the 80s, will merge with former rival Luxottica Group later this year. CHICAGO, IL (BRAIN)—SRAM and Zipp have signed a non-binding letter of intent for SRAM to acquire Zipp. The acquisition is expected to be completed within 60 days.